At Sack Orthodontics, our entire team is dedicated to providing you with the highest quality and personalized orthodontic care possible. You will find our office to be very warm, caring, and a place where you will feel like family. At our office we specialize in the orthodontic needs of children, teens, and adults, including many in the entertainment industry who require removable appliances. 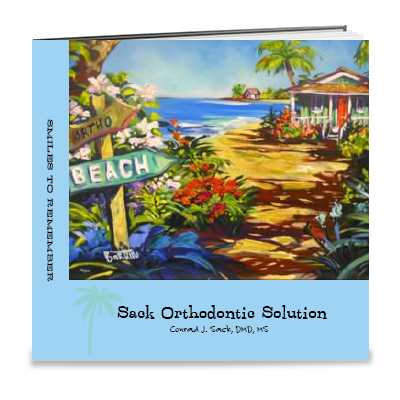 The specialty of orthodontics for our younger patients is really the specialty of growth and development. It is our intent to grow healthy teeth, mouths and smiles. Along with that, we help develop healthy attitudes about responsible oral hygiene and home care. We believe in and assist in building strong mouths, strong teeth, and a strong sense of patient confidence and self-esteem. Our goal is to offer a comprehensive view of the growth and development of the craniofacial and dental complex, its maloformations and a wide variety of interceptive treatment options. Facial esthetics is the key to many of our treatment decisions and its timing. It is critical for all of us to know what treatment options are available and when is the best time to begin treatment or to refer so that we are providing our patients with the most treatment options and best possible outcomes. Call (818)999-9559 or Request An Appointment! We genuinely hope this site is helpful to you in learning more about our practice, orthodontic conditions and treatments, orthodontic recommendations, and more. Please browse through our website and be sure to give us a call if you have any questions or would like to schedule an appointment. This is the latest product in our office, AcceleDent, which will help cut your treatment time by up to 50%. Call our office to get more information. Woodland Hills, California Orthodontist, Dr. Conrad Sack is dedicated to Orthodontics offering services such as braces, Invisalign and other orthodontic treatments like the crozat appliance.